Experiencing any issues? Any suggestions? Let us know about website feature concerns using our public feedback site (Wantoo) where you can share and vote on new ideas and features. You can also contact us directly using the form below. Thanks! I teach monthly classes and offer personal coaching and hypnosis services. Greetings! 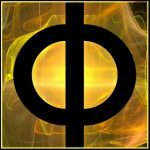 I live near King of Prussia, PA and love to connect with other spiritual/metaphysics students and seekers. Hi there, I’m in Australia and I’m probably just going to be lurking around this website until such time when i can find connection to something or someone. Please continue posting your unique perspectives in the mean time. Thank you for the link! found some activity here.